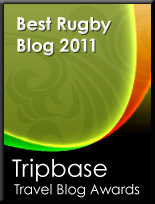 TOTAL FLANKER...a rugby blog: ¡Viva la Revolución! According to Peter Bills of the Independent, the New Zealand All Blacks are currently revolutionising the way rugby is played. Clearly they are doing nothing of the sort. The All Blacks are merely doing what they habitually do in between World Cups – i.e. they are playing rugby better than anyone else. As a consequence they are dominating a Tri Nations competition in which the Springboks (and in particular their insane coach) have lost the plot and in which the Wallabies continue to be maddeningly inconsistent. Bills, obviously a graduate of the University of the Bleeding Obvious, also claims that English club sides could learn a thing or two from the All Blacks. I wish I was paid for such startling insights. 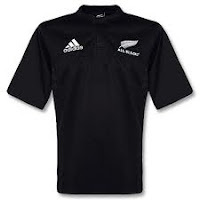 Bottom line is that New Zealand have an excellent rugby team playing extremely well 13 months ahead of the start of the World Cup. ‘Twas ever thus.